Here's the epic Melian Gown - woah this could take some time, but we’ll keep it simple ! 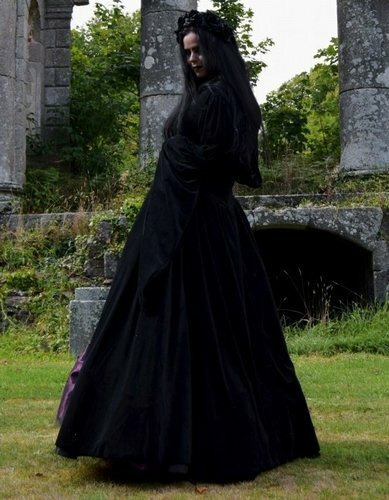 :)<br> <br> Another classic gown made from our gorgeous Steamed velvet, shown here in Black and Amethyst.<br> <br> It’s off the shoulder, with gathered upper sleeves and stunning long, flowing cuffs.<br> <br> The bodice has a contrast velvet centre panel with looped braiding, laced with cord... then there's the totally stunning gathered skirt, with a matching contrast velvet centre panel, and there is soooooo much fabric in the skirt it really is so luxurious !<br> <br> In some of the photos above it's worn with our Melian Skirt; when used as an underskirt it makes this gown even more epically romantic! Yaaay!<br> <br> It's available in all of our usual steamed velvet shades. We'll let the pictures do the talking now! 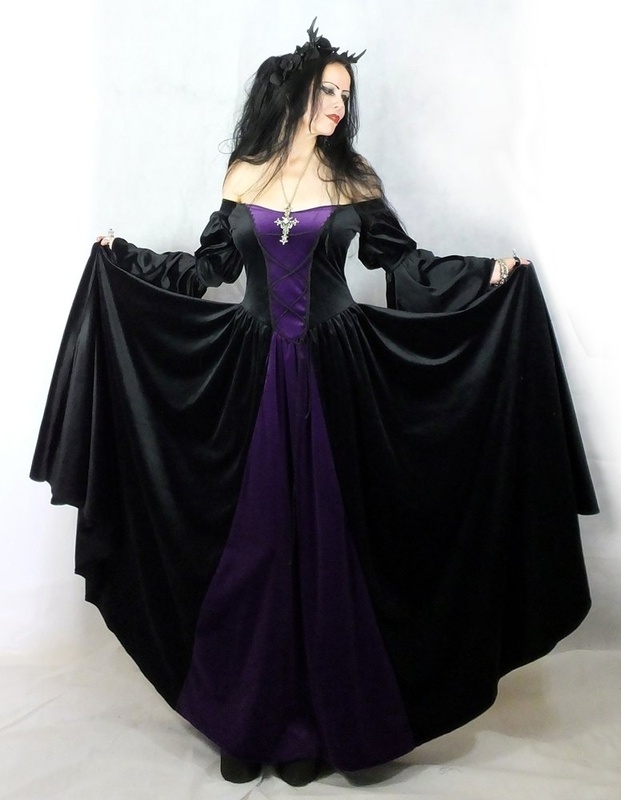 Another classic gown made from our gorgeous Steamed velvet, shown here in Black and Amethyst. It’s off the shoulder, with gathered upper sleeves and stunning long, flowing cuffs. The bodice has a contrast velvet centre panel with looped braiding, laced with cord... then there's the totally stunning gathered skirt, with a matching contrast velvet centre panel, and there is soooooo much fabric in the skirt it really is so luxurious ! In some of the photos above it's worn with our Melian Skirt; when used as an underskirt it makes this gown even more epically romantic! Yaaay! It's available in all of our usual steamed velvet shades. We'll let the pictures do the talking now!